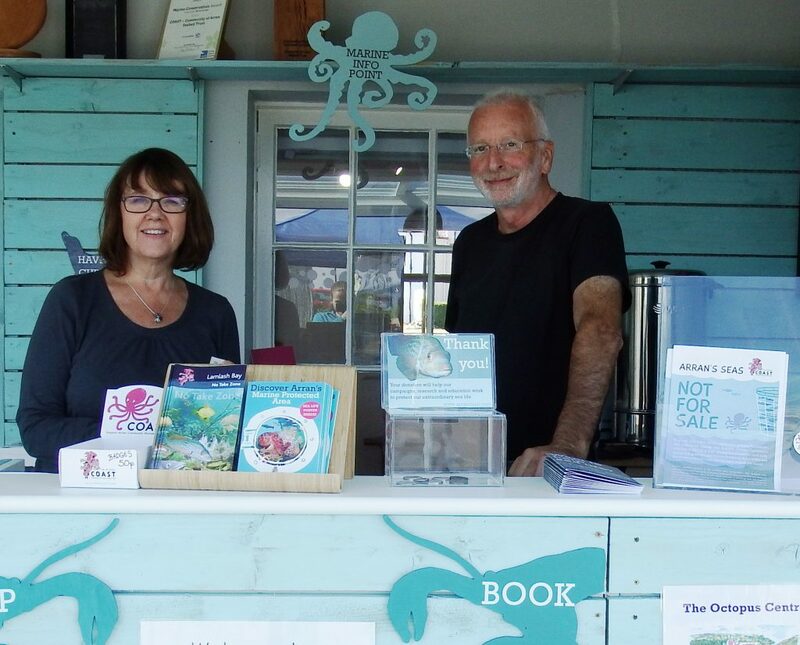 Our little shop at the Octopus Centre sells lovely marine-themed gifts including shirts, hats, bags and mugs. Many of our craft items (sculptures, cards, pencil-cases, jewellery) have been made locally. We also have a variety of COAST merchandise with new designs. Please visit our online shop if you would like something posted to you. Kindly note that this service is not available for all the products we have in the shop. We have a selection of teas, coffee, juices and Arran Dairy icecreams available at the marine info-point desk. Ask us to refill your water bottle. COAST is part of the “Arran fills bottles” initiative, by Ecosavvy. Card payments are accepted for purchases or donations. No minimum charge.